Well the title may seem confusing but it’s not on purpose. We put two new Safety Statement Templates up on the site this week. 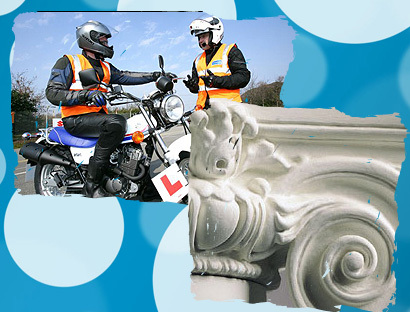 One is for anybody running an Initial Basic Training Centre for Motorbikes or IBT as the RSA refer to it. You can click on a Preview version of the new template below but it covers topics like setting up a course, driving out on the road for the first time, inspecting the motorbikes and all the other topics that the RSA want to see in the Safety Statement. The second template is for anyone who works in the area of decorative plasterwork. Not to be confused with General Plastering (covered in a previous upload) this new Safety Statement Template covers the use of Molds/Moulds and Formwork as well as cement, plaster, ladders and so on. As always if there is a topic that you would like us to cover, just use the contact page. This entry was posted in Health and Safety and tagged Decorative Plaster Work, Decorative Plasterwork, IBT Center, IBT Centre.